I’m back from my vacation. I was in Tulum, Mexico where the beaches are white and the ocean is turquoise. Truly picturesque. 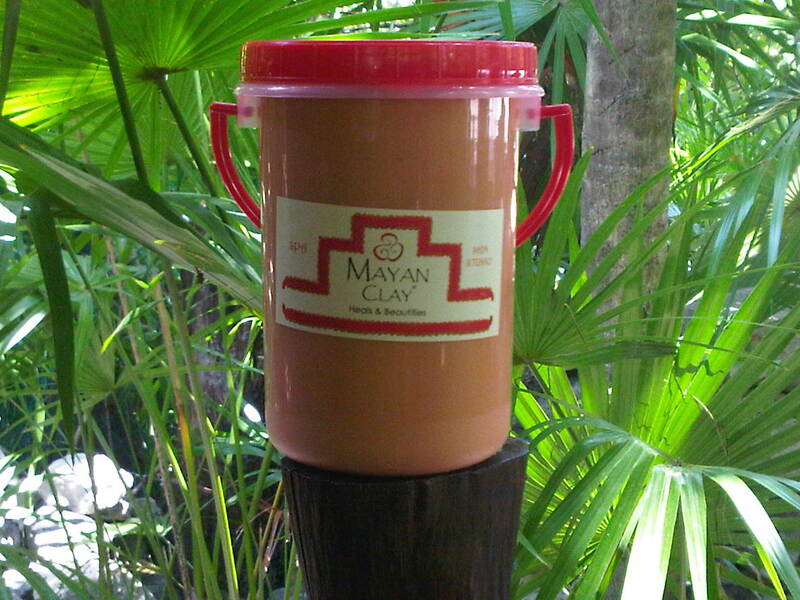 They have this clay in Tulum, indigenous of the region, that is mean to heal, purify, rejuvenate and detoxify. It’s the most amazing experience. Mayan Clay, as it’s called, was, by far, my favorite part of the trip. I used it several times over my 5 day stay and it helped with a variety of concerns from sun exposure to eye bags to a hair conditioning mask to aging and expression lines to acne. All in one vat of clay! Depending on what your specific skin care concern is, depends on how you actually use the clay. For example, if you are treating a sun burn, you wouldn’t actually let the clay dry completely on your body, but rather slather the clay on your skin and allow it to purify and heal. For acne and as an overall body mask, you’d apply the clay all over and allow it to dry for 10 min for acne, 45 min for the body. This will absorb the skin’s toxins and acids and balance the electromagnetic field. For eye bags, you’d apply a thick layer around the eye area, mix with chamomile tea for 20 minutes adn do this 2 times a week. For a hair conditioning treatment, you can apply a layer to your hair mixed with honey and leave on for 20 minutes. Again, this can be done 2 times a week. For aging and expression lines, you can use the clay as a CLEANSER! 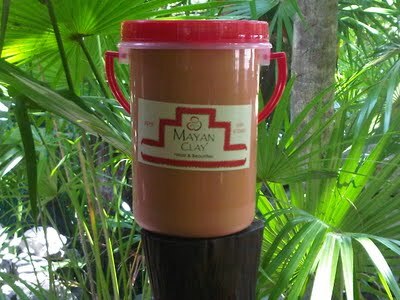 The woman who founded the Mayan Clay company told me to mix it with water, apply wet and rub with fingers for 1 -2 minutes. Never let it dry, always keep it wet. Then rinse off. Do this for 6 weeks and you will notice glowing skin with a vast improvement in expression lines. I covered my body from head to toe (including my hair) in the clay and let it bake in the sun. Then I ran into the beautiful luke warm ocean water to rinse off. It was a truly spiritual experience! I brought home a small jar to use in my bathroom for weekly cleansings. Definitely won’t be the same as running into the ocean, but it’ll be a slice of Tulum in my bathroom.